Unrest in Africa. An opportunity for the SFO. 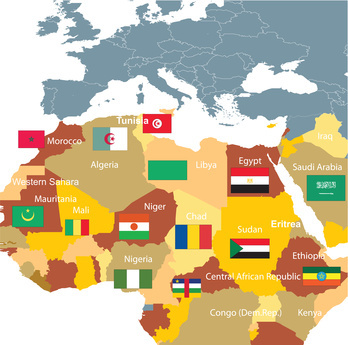 Regime change in Tunisia and Egypt and unrest in Libya (and potentially other African and Middle Eastern states) gives more than just the opportunity for the citizens of those countries to change the government. They represent an opportunity for the SFO and a risk to those who have dealt in those countries under the previous regime. Before the dust has settled a priority for new regimes is to discredit their predecessors. In Tunisia calls to arrest ex-president Ben Ali for illegally acquiring property and assets and transferring funds abroad surfaced shortly after he was ousted. In Egypt, the trial of the former government minister of the interior for corruption has already begun. More will follow. Iraq is likely to be a good blueprint. The fall of Saddam Hussein opened the Iraqi vaults and revealed the Iraqi oil for food kick back scheme. Numerous prosecutions have followed both in the US and in the UK. At the end of February Aftab Noor Al-Hassan and Riad El-Taher both received jail terms following prosecutions brought by the SFO after they were revealed to have broken UN sanctions and been involved in illegal Iraqi payments. Following the fall of the government of Saddam Hussein, the UN set up a committee to investigate sanctions breaches. This committee published its findings in October 2005, identifying Al-Hassan and El-Taher as individuals involved in breaking sanctions. In other examples relating to Iraq Weir Group recently pled guilty to corruption charges and had £13.9 million confiscated under UK Proceeds of Crime legislation. Mabey and Johnson also self reported violations to the SFO and pled guilty last year receiving a £3.5 million fine. David Mabey, once featured on the Sunday Times Rich List, was jailed last month for his part in the Mabey & Johnson Iraqi kick back scheme. We anticipate that the current unrest in Africa may be a catalyst for investigations as details emerge. If you have questions on this post you can contact us confidentially.